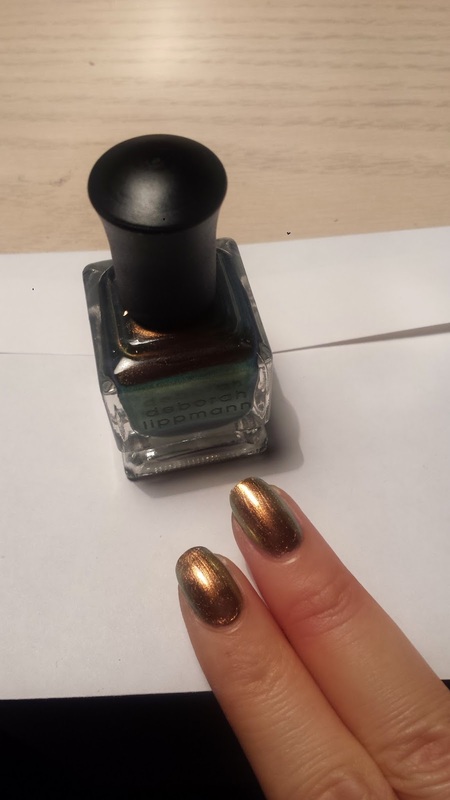 A good St. Patrick's green color polish is really hard to come by! The drugstore certainly does not carry enough option for that. 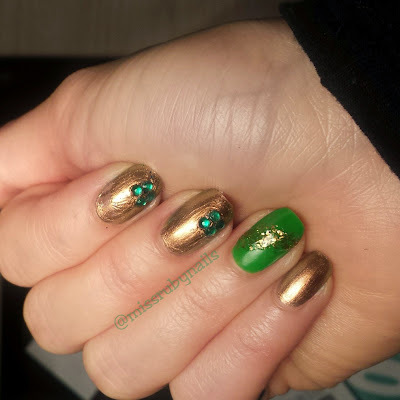 I found lots of green polishes but none was in the right shade that I was looking for... Therefore I went for a more gold combo and have just one accent green nail. An interesting effect happened to the metallic gold polish after I applied a NYC clear top coat and the fast drying Seche Vite top coat. The polish started to wrinkle up after I applied them both. 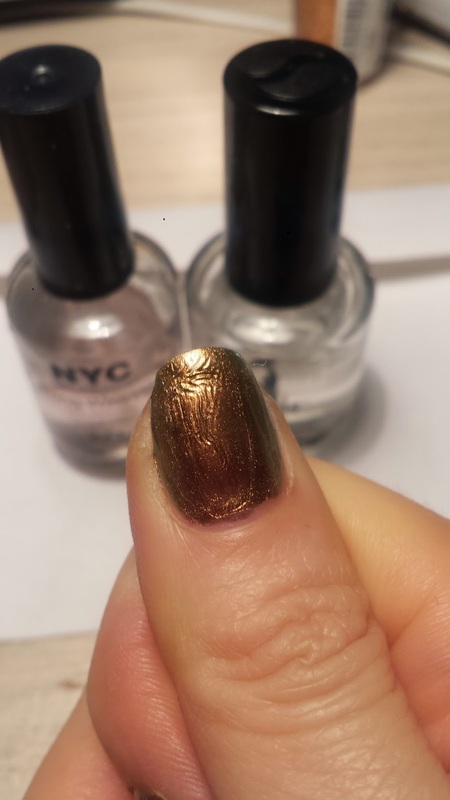 At first, I thought it must be the VERY old bottle of the NYC top coat and I threw it out right away. Later I saw comments on my Instagram that sometimes the fast drying top coat does this to metallic color as it tries to speed up the drying, kind of like shrinking the polish... I think this might be a fun new pattern/effect that I can experiment on later!